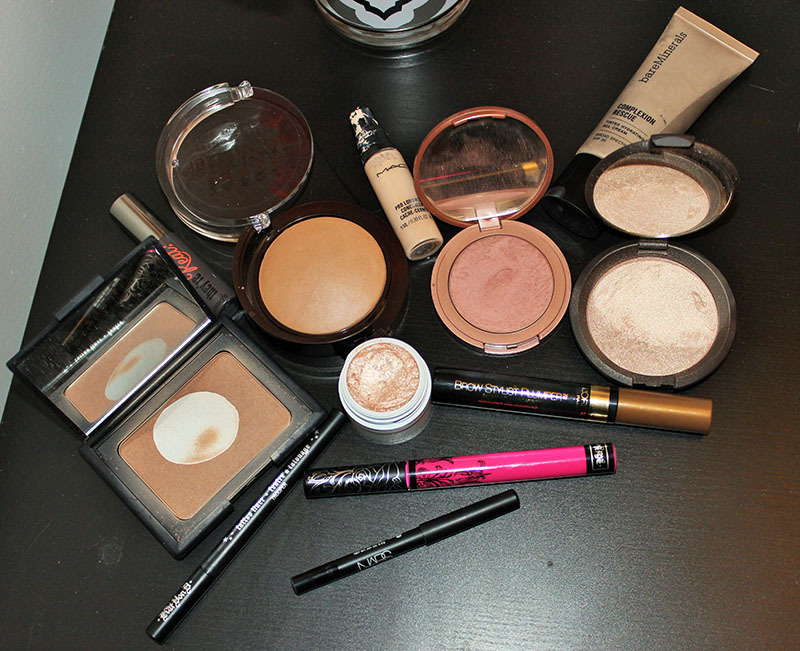 I've been through many bronzers. I've loved some, hated others, and there is a short list that I can't manage without. The one I'm going to talk about today has quickly jumped on that list. 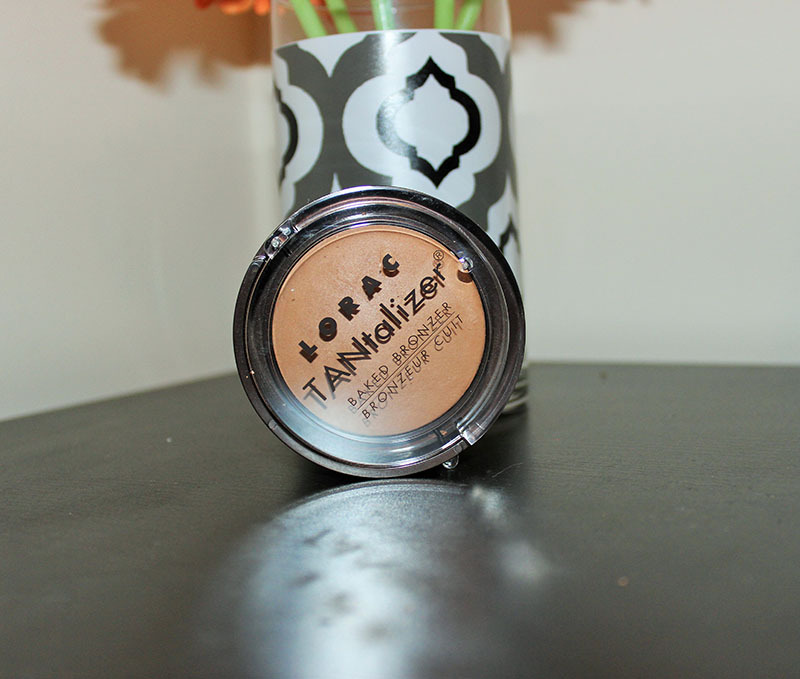 Let's talk about the Lorac Tantalizer Baked Bronzer in Matte Tan. Let's talk about the packaging, It opens on the top and bottom; the bottom contains a brush which is surprisingly soft. The top holds the bronzing powder. You just use the side handles and it swivels open. Yes, it's as nifty as it sounds. 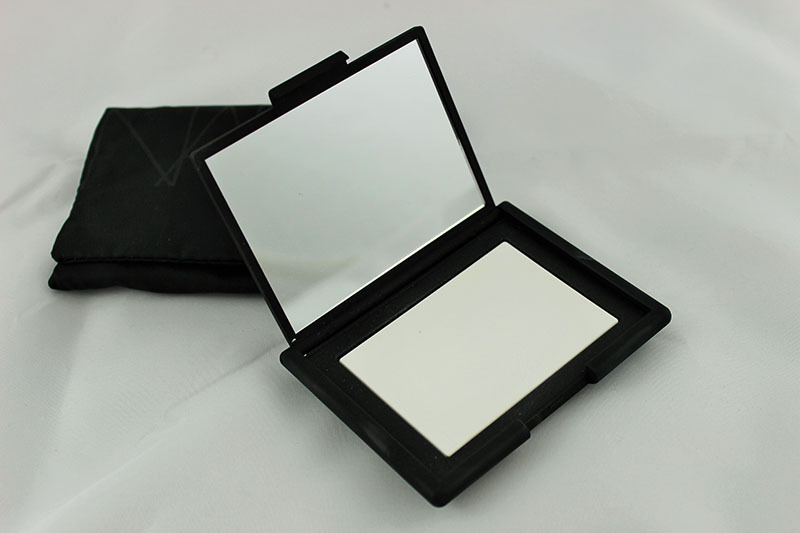 Oh, and the bottom of the compact is a mirror. 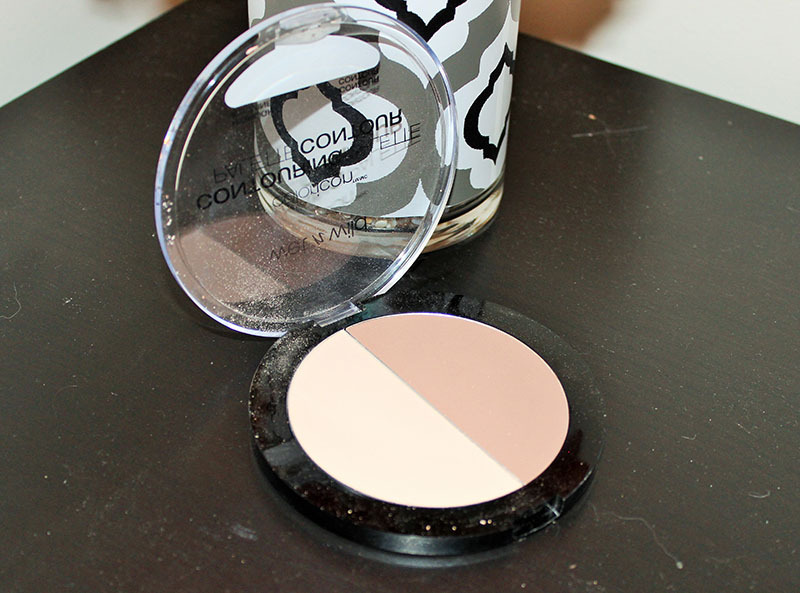 This is a long wearing bronzer that gives a very natural bronze glow to your skin. You would apply this everywhere the sun would hit your face. 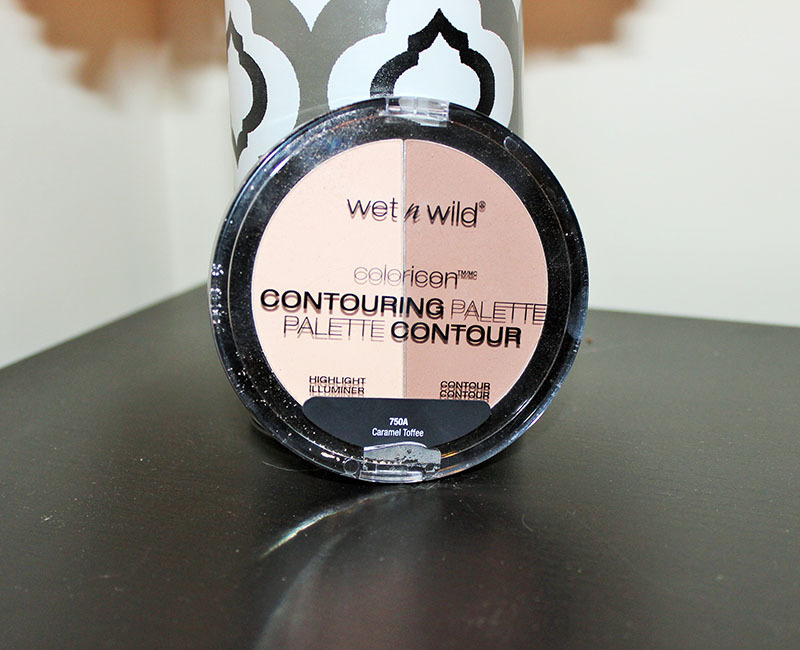 Something that sets this bronzer apart from the others I own is that you can apply this wet, and it will be more intense and transfer resistant. Also, this bronzer contains 0.31 oz or 9g, which is slightly more product than Nars Laguna, but slightly less than Too Faced Chocolate Soleil. 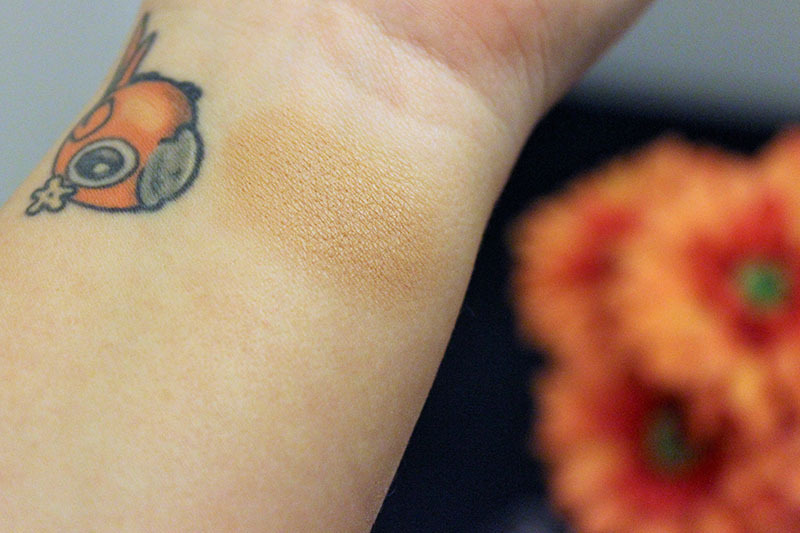 The color is perfect for a light-medium skin tone, not too cool toned but not too warm either. Anything darker than a tan would really have to build this up, but applying this wet may solve that problem. Summer is officially less than one week away, so I wanted to share my summer essentials post with you! A summer hairstyles post is coming soon, so stick around for that! NKD SKIN Gradual Glow Daily Tan Moisturiser. As I've recently quit tanning, again, this has become a must-have. It gives you just the right amount of tan, without being orange. Also, it doesn't have that self-tan odor, which makes it even better. Strivectin Repair and Protect Moisturizer w/ SPF 30. This is a great moisturizer for summer. It's a lotion consistency that works well under makeup, and since it has SPF 30, it does a great job of protecting your skin from the sun. Macadamia Healing Oil Treatment. I have highlighted hair, so my ends tend to be dry. I love to put this through my hair after I shower to help keep my hair soft and shiny. This isn't heavy and doesn't weigh my hair down. I put this through my ends on hot days to keep them from drying out. Can't live without it! Yes To Carrots Lip Butter. Lip balm is a must, especially when you wear liquid lipsticks as often as I do. This one contains SPF 15, which is important for protecting your lips when you're in the sun! Urban Decay All Nighter Setting Spray. 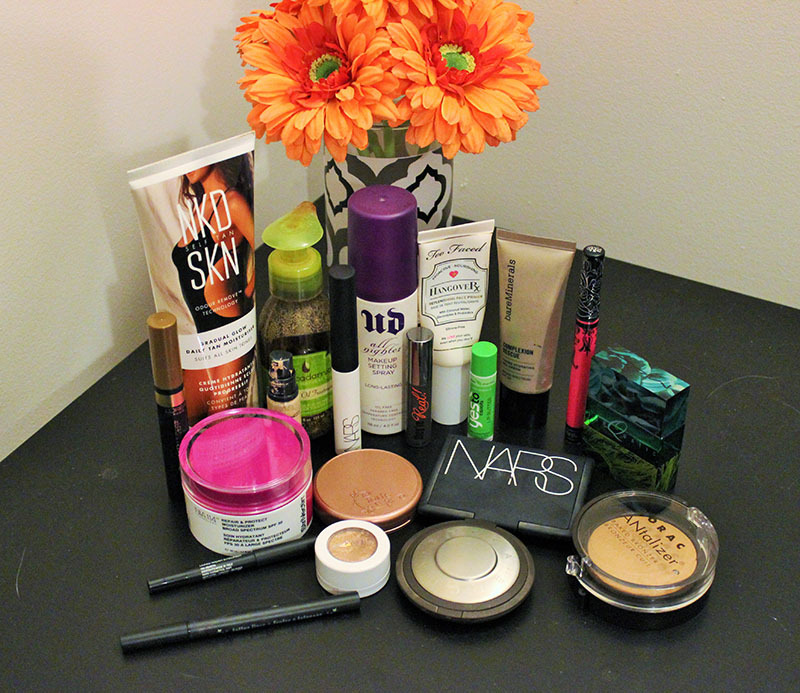 I use this year round to set my makeup, but during the summer it really makes a difference. I use this to keep my makeup looking awesome and in place all day. MAC Turquatic Perfume. I haven't had this perfume for long, but I immediately fell in love. I bought it blindly based on reviews alone and I fell in love with it as soon as it arrived. It's the embodiment of summer in a bottle. It's my new favorite. 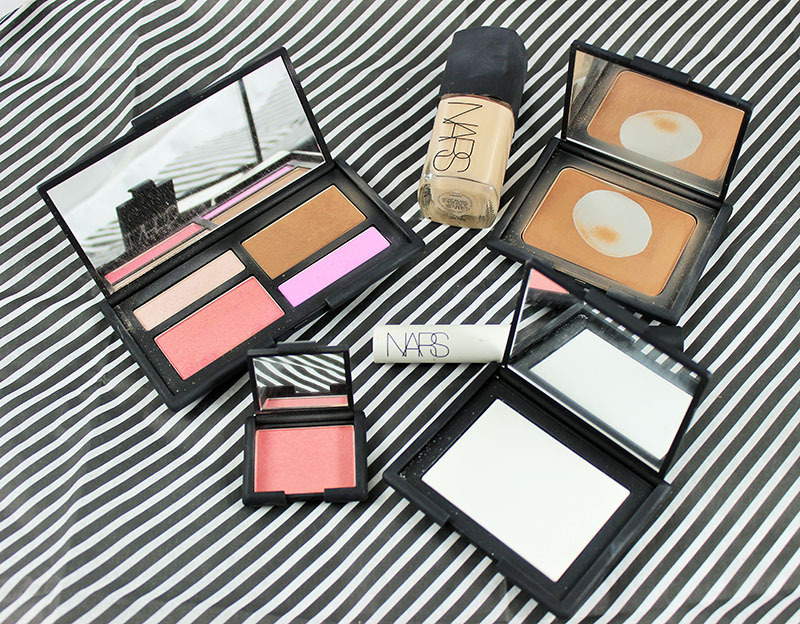 NARS Laguna Bronzer. Another one that was expected, but I can't get enough. 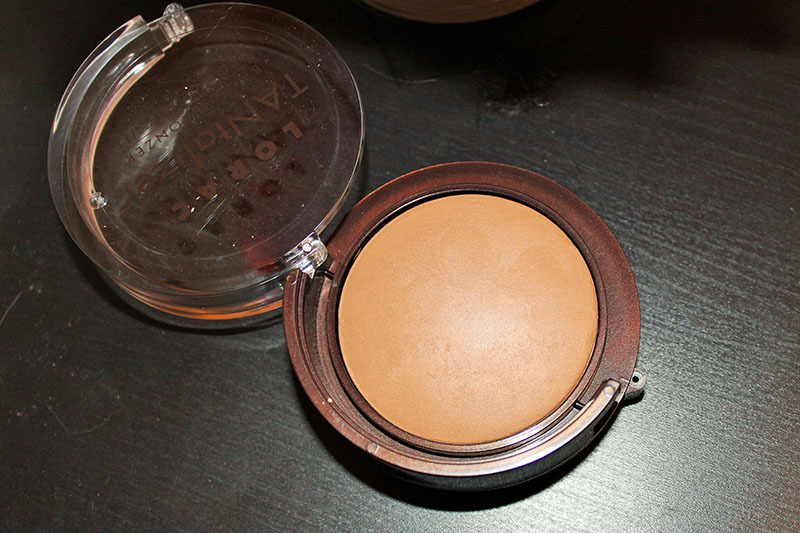 This is my all-time favorite bronzer, and I haven't repurchased it because I have so many others, including the next one I'm going to mention. Laguna has a slight gold shimmer throughout, but it doesn't show up glittery or shimmery at all, it just looks natural and glowy. Lorac Tantalizer Matte Bronzer. 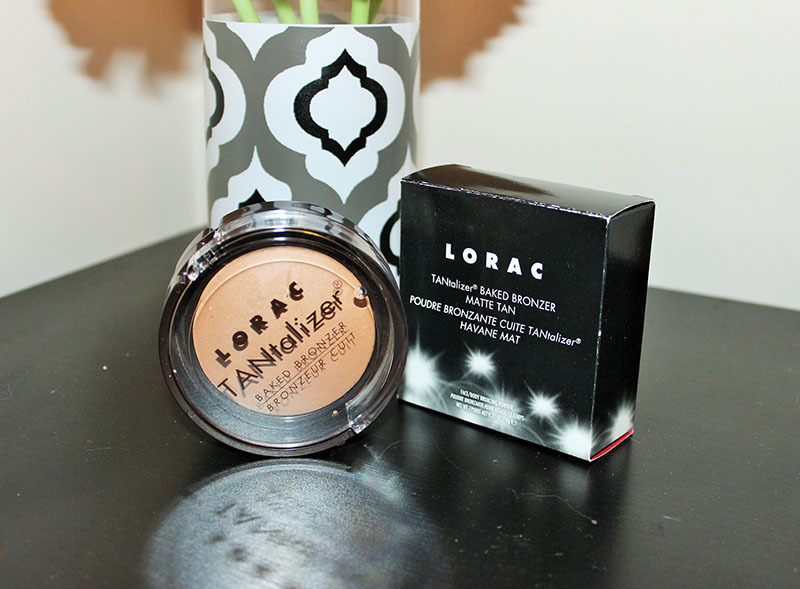 Lorac was awesome enough to send me this bronzer to try out, and I must say I love it and had to include it in my essentials. 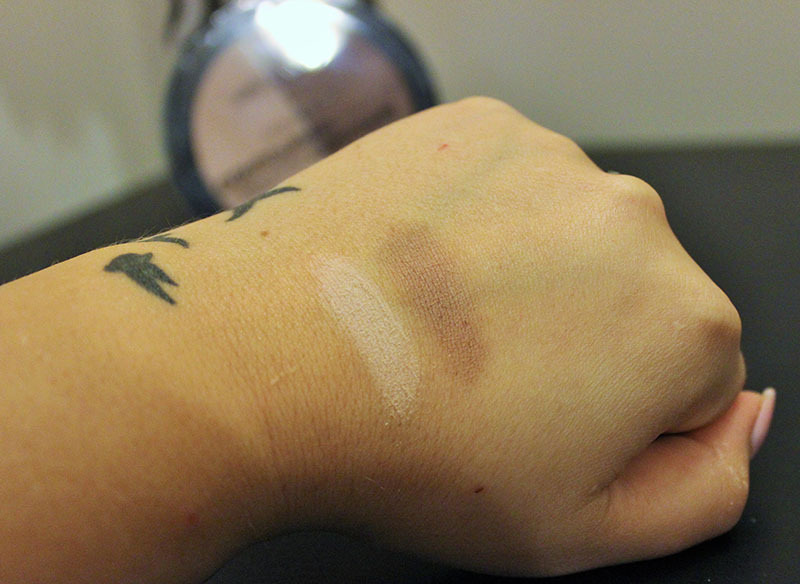 I'll have a full review and swatches up later this week, but I obviously love it. 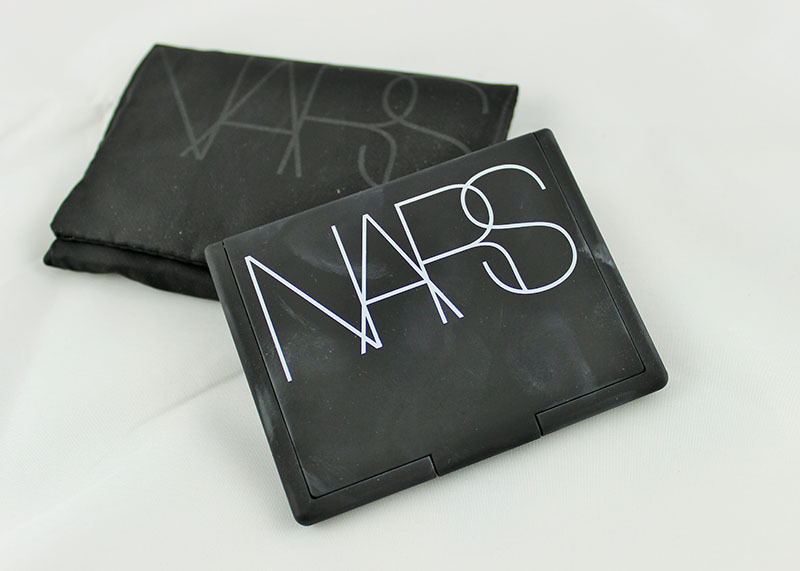 NARS Larger than Life Longwear Eyeliner 'Via Veneto'. This is my favorite pencil liner, as it's the only one that will stay in my waterline. It's pigmented, easy to apply and stays put. I recommend trying it if you're struggling to find a liner that stays in your waterline. MAC Pro Longwear Concealer. 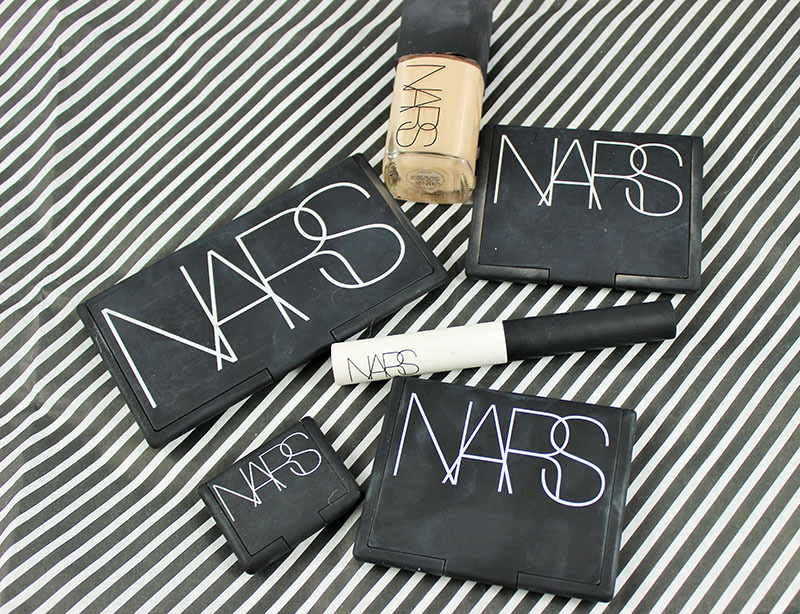 This concealer is the absolute best for summer. It's pigmented but not heavy, it covers dark circles well and it really stays put. It doesn't look cake-y and it doesn't crease. It's definitely worth a try if you've never used it. Tarte Amazonian Clay Blush 'Exposed'. I've raved about this blush for quite some time, but it's my summer go-to. It's a tan-rose-natural color that when applied to the skin appears as if you've spent the day outside. It's so beautiful and natural. L'oreal Brow Stylist Plumper. This is a great brow gel. It really makes my eyebrows look fuller but still natural. It does a good job of keeping them in place. If you haven't tried it yet, go get it! Full review coming soon! Benefit They're Real Mascara. Waterproof mascara is a summer necessity. No one wants raccoon eyes, so this is my summer go-to. It's not marketed as waterproof, but it doesn't budge. It's lengthening and volumizing but doesn't clump. It's an essential. So, that's it for my summer essentials. I've linked the products & the reviews to the ones I could. I'll review the others within the coming weeks. 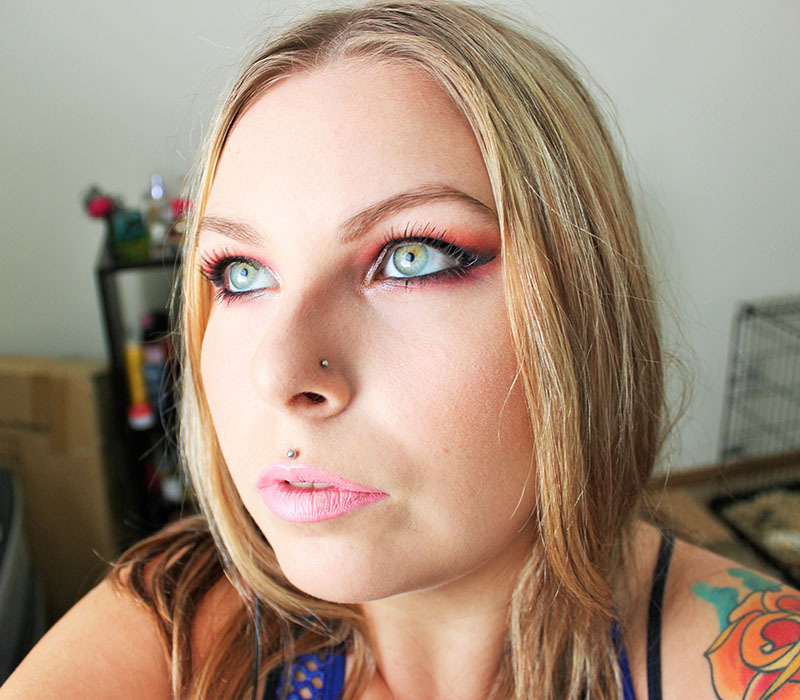 Here are some recent makeup looks! As you well know, I've been very into health & fitness lately, but I'm very busy so it's not always easy. I go to college full time, I'm even taking summer classes right now, I go to the gym 5 days a week, I write and maintain my blog and I maintain my house, which consists of feeding and taking care of my husband and 8 fur babies. It's a lot. Spending a ton of time cooking dinner isn't always an option. Recently, LEAN CUISINE® came out with new dishes with organic ingredient options, gluten-free options and protein packed options. I chose one from each of these new options from Walmart. The first is the organic ingredient option: Marketplace Vermont White Cheddar Mac & Cheese, which is "made with" organic pasta. The second is the gluten-free option: Marketplace Comfort Chicken in Sweet BBQ Sauce. The third is the protein-packed option: Marketplace Sweet and Spicy Korean Style Beef, with 15 g of protein. As I mentioned before, I found a wide variety of the new dishes from LEAN CUISINE® at Walmart. Look for the special offer June 14-28 in the Superfridge. In my local Walmart, these are located in the frozen aisle with the bread, in other stores I've seen them in the aisle marked as Frozen Entrees. They're easy to find and there's a large variety available. I love to eat these on busy days as they're quick & tasty; perfect for anyone who is busy or on-the-go. Now with even more craveable dishes, LEAN CUISINE® is offering new recipes with modern health benefits tailored specifically for you! Don't forget to grab your LEAN CUISINE® dishes in either the gluten-free option, protein-packed option or organic ingredient option the next time you're shopping at Walmart. Let me know which LEAN CUISINE® meal is your favorite! A couple of weeks ago, my little brother graduated high school. He was so excited, and I could hardly believe it had happened so fast. This was a very exciting and special day for my brother so to commemorate the day, I purchased two personalized Coke bottles, one with my name and one with his. I'm so proud of him, so I chose him to Share a Coke with. My brother and I are over 10 years apart in age, so we weren't always the closest. But, as we've gotten older, we've grown closer & watching him grow up has been surreal. 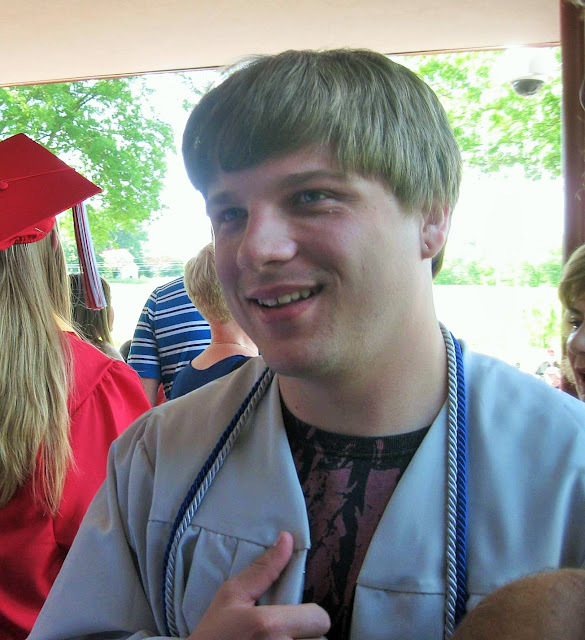 He's off to college this fall, to the same college I attend!, and I'm already excited to see him graduate with a degree. We fought like crazy when we were younger, but now we're closer than ever & I'd do anything for him, I swear, I just couldn't be more proud! These personalized Coke bottles can make any occasion special, and it's so much fun finding the names of people you know! It's hard not to buy them all. These would be great for parties, and they'd even be cute in personalized gift baskets! I found mine at Walmart, and it was surprisingly simple as the display was organized. Walmart has the widest and most organized selection of the personalized 20 oz bottles. They can be found either in the coolers, in the Soda aisle, or in these nifty new bins, which makes finding your name much simpler. I recommend checking the bins first, as the bottles are more spread out so you can see more of them. Here is a list of Walmart stores where you can find a large quantity of personalized Coca Cola bottles to share with someone this Summer! Go to the social hub to see how other people are sharing their summer! Is there anything you're looking forward to this summer? Who will you be sharing a Coke with? Today's post is going to be a short one. I was in the mood to play with makeup yesterday, so here's a look I came up with. It's very dark and very dramatic, but I like it so I wanted to share it. I'll list the products I used at the bottom!